I love this one. Flowers are so summery! Can't wait to wear this out to a picnic or a wedding! This one from Siobhan Molloy is stunning. I love how it's just so simple but still one of the most beautiful dresses I've ever seen! Now is the winter of your pom pom hat. Winter is coming, and that means many things. One of them is that it is time to wrap up warm. Winter is my favourite season for fashion. And I have absolutely fallen in love with Amelia Jane London's fur pom pom hats. You may have seen these hats quite a lot around the place as they are starting to get mighty popular. 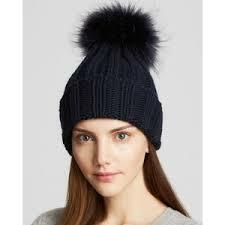 They come in lots of different colours and you can mix and match to get any combination of hat and pom pom you like.